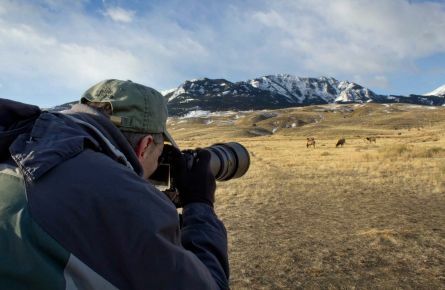 Dawn is really the best time to search out the wild things, so we’ll leave Mammoth Hot Springs Hotel, Canyon Lodge, or Roosevelt Lodge bright and early and head for Lamar Valley. Here, expansive views provide great opportunities to find spectacular megafauna grazing or hunting on the open hillsides, and your driver/guide will know where the action has been as of late (as we’re looking for genuinely wild animals, there are no guarantees of course!). 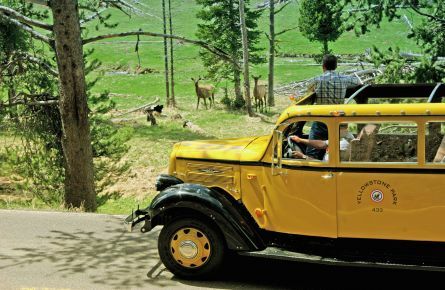 Our Historic Yellow Bus will be provisioned with muffins and juice for all aboard. If you really want to take your best chance to glimpse the great beasts, come Wake Up to Wildlife with us!